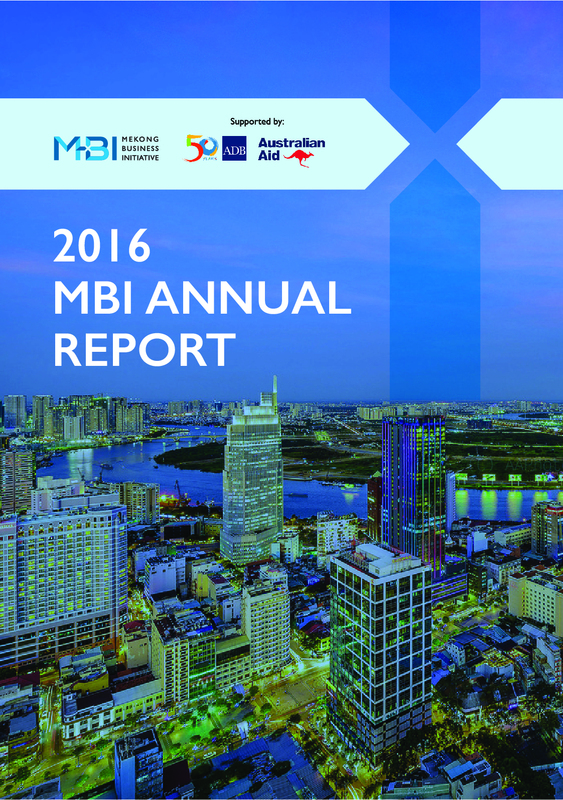 The Australian Government’s Mekong Business Initiative (MBI) was launched in early 2015 to catalyze private sector-led innovation and growth in the emerging Association of Southeast Asian Nations (ASEAN) market. It is an advisory facility financed jointly by the Asian Development Bank (ADB) and the Government of Australia’s Department of Foreign Aﬀairs and Trade (DFAT), for a total of $10.5 million. MBI, which is managed by ADB, focuses on Cambodia, the Lao People’s Democratic Republic (Lao PDR), Myanmar, and Vietnam (collectively–CLMV) because these countries are linked geographically; they have similar natural resources and agrarian economies (although Vietnam is more industrialized); and they have strong potential for economic growth but need to improve the environment for private enterprise and innovation to catch up with their ASEAN counterparts. To achieve MBI’s expected outcome of an improved business enabling environment for small and medium-sized enterprises (SMEs), MBI carries out its activities through subprojects under three pillars: improved public-private dialogue on private sector development (PSD) policies and regulations, a more robust financing environment, and a more dynamic ecosystem for innovation.